An inclusive, non-judgmental, and empowering guide to pregnancy, childbirth, and postpartum life that puts mothers first, offering straightforward guidance on all the options and issues that matter most to them (and their partners) when preparing for a baby. In Birth Without Fear, January Harshe--founder of the global online community Birth Without Fear--delivers an honest, positive, and passionate message of empowerment surrounding everything that involves having a baby. It's a guide that fills in the considerable cracks in the information available to women and families when they're preparing to welcome a child--covering care provider choices, medical freedom, birth options, breastfeeding, intimacy, postpartum depression, and much more. Birth Without Fear shows moms, dads, partners, and families how to choose the best provider for them, how to trust in themselves and the birth process, and how to seek the necessary help after the baby has arrived. In addition, it will educate them about their rights--and how to use their voice to exercise them--as well as how to cope with the messy postpartum feelings many people aren't willing to talk about. 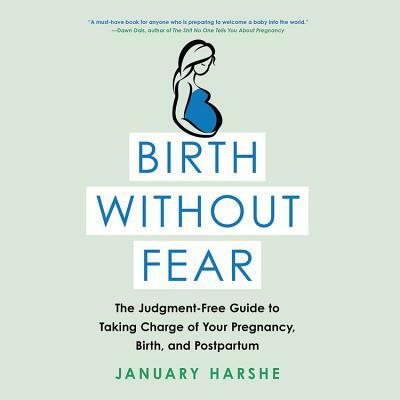 Unlike other pregnancy books, Birth Without Fear will also help partners understand what mothers are going through, as well as discuss the challenges that they, too, will face--and how they can navigate them. Shattering long-held myths and beliefs surrounding pregnancy, birth, and the postpartum experience, Birth Without Fear is an accessible, reassuring, and ultimately inspiring guide to taking charge of pregnancy, childbirth, and beyond.